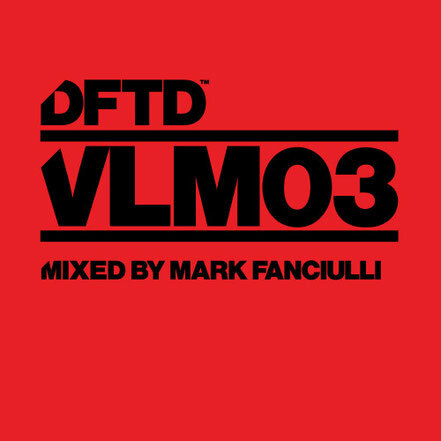 ‘DFTD VLM03’ mixed by Mark Fanciulli is the third mix album from Defected’s sister label DFTD. Mark made his production debut only a few years ago and his debut hit ‘The Time’ on Joris Voorn’s Rejected label, paving the way for further releases on labels Leena Music, Saved Records and last year's 'The Light' on Defected alongside Guti. Alongside brother Nic, Mark Fanciulli runs Saved Records has forged a reputation for himself in a relatively short space of time with his ear for quality house and skills both in the studio and behind the decks. Earlier in 2015 Fanciulli released ‘Control’ on DFTD, and now makes his mark on the label’s compilation series with two diverse and infectious mixes. The two mixes showcase the deep, tracky, dancefloor-focussed ethos of DFTD, with catalogue tracks from Ripperton, Sable Sheep, Secondcity and Fanciulli himself demonstrating the style of the release. Fanciulli also includes an original production of his own, ‘8 Track’, a previously unreleased cut that showcases his production talent. If some one wishes expert view concerning blogging and site-building after that i suggest him/her to pay a visit this weblog, Keep up the fastidious work.